Rollout, USA STANDARDIZED ITS BUSINESS PROCESSES AT REGIONAL LEVEL Created by employees of Bristol Myeers Squibb, Boston Medical Devices (BMD) has positioned itself as a company where tradition and 30 years of experience is the best ally, maintaining the lead with agility, innovation and a true sense of belonging. 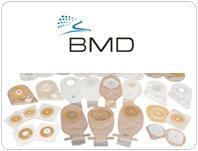 With annual sales exceeding $50 million and a 40% market share in both wound care and ostomies, they required an standardized support system and fully integrated financial and logistical level in the U.S., Colombia, Venezuela, México, Brazil, Chile and the Dominican Republic. 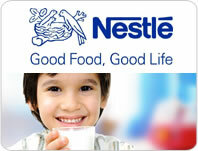 NetPartners was chosen as a strategic partner to implement SAP Systems with minimal cultural impact and optimum time and cost. Upgrade, Colombia SUCCESSFULLY RENEWED ITS SAP R/3 Daimler AG, Stuttgart is a leader in the automotive industry with its businesses Daimler trucks, buses & financial services, and, Mercedes-Benz automobiles and vans. After running SAP R/3 for several years, Daimler branches in Colombia and Mexico decided to upgrade to ECC 6.0 with the support of NetPartners and the experience of many upgrade projects. 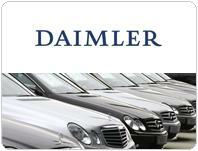 Daimler was able to migrate to the latest ERP version with a minimized risk in a reasonable timeframe. The first upgrade project covered the Colombian operation, which after successful results, led to the initiation of a second project in Mexico. Daimler Colombia upgraded its ERP system while maintaining the integration with its BW BPS application.